These eye drops can be used for minor bacterial infections of the eye and contain propamidine as the active ingredient. It is an antibacterial treatment that works by preventing bacteria from multiplying. In other words, the amount of bacteria that cause an infection is controlled. 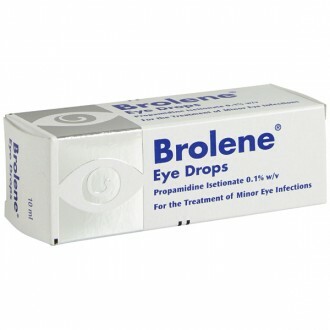 Brolene Eye Drops treat minor bacterial eye infections. The medication contains the active ingredient propamidine, an antibiotic which controls the cause of the infection. Brolene Eye Drops is one of the most effective products for eye infections like conjunctivitis. 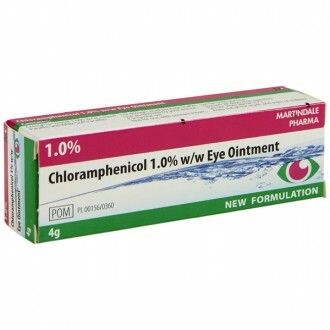 To use, place 1-2 drops into the affected eye up to four times a day. The active ingredient, propamidine, kills bacteria on contact and prevents them from growing and multiplying. Any remaining bacteria die or are killed by the body's immune system. Propamidine can be purchased from pharmacies to treat minor eye infections of the eye, e.g. conjunctivitis, or of the eyelids, e.g. blepharitis. It is also prescribed by eye specialists to treat acanthamoeba keratitis, a rare eye infection associated with contact lens use. This medicine is for use in the eye only and must not be ingested. When using the eye drops or ointment, take care to not touch the dropper or tube tip to any surface or to your eye, to avoid contaminating the medicine. After you have applied the drops or ointment, your vision may blur temporarily. Do not drive or operate machinery until this has worn off. You should not wear contact lenses while using Brolene as they could aggravate the infection. Avoid wearing your contact lenses for 24 hours after you have finished using this medicine. Do not use Brolene longer than two days without consulting your doctor. Seek medical advice immediately if you have any problems with your vision or if your symptoms worsen. Brolene eye drops and ointment are sterile until opened. Dispose of any remaining medication four weeks after you have opened it, as it is likely to be contaminated. It may be helpful to write the date of the first opening on the bottle. Brolene is supplied as a liquid in a 10ml plastic dropper bottle with a tamper-proof cap. Apply one or two drops into the eye up to four times daily. Please do not exceed the maximum daily dose of 8 drops in 24 hours. Do not take doses more frequently than every 4 hours. Benzalkonium Chloride (Preservative), Ammonium Chloride, Sodium Chloride, Sodium Hydroxide and Water for Injections. Brolene is an antibacterial eye drop used to treat minor infections affecting the eye or eyelid, such as conjunctivitis and blepharitis. It can also treat acanthamoeba keratitis, a rare infection of the cornea. This is an efficient treatment, as it acts directly on the eye. The active ingredient in Brolene is an antibacterial medicine called propamidine. 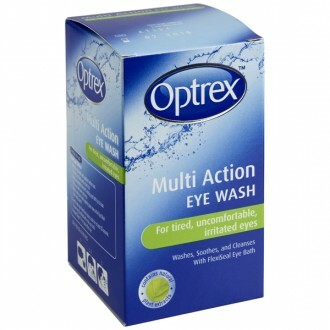 It treats infections by preventing further growth of bacteria on and around the eye. Once the infection has stopped spreading, the body’s immune system can more easily target and kill the existing bacteria. How do I use Brolene? Generally, you will be advised to use one to two drops of Brolene, three or four times per day. Before using Brolene, wash your hands and clean your eye(s) with a saline solution. Tilt your head backwards, look up, and gently pull down your lower eyelid. Carefully place one to two drops on the inside of your lower eyelid. Close your eyes then use a clean and dry tissue to wipe away any solution remaining on the skin. Remember to replace the cap as soon as you are done. Do not let the dropper make contact with your eye or with any other surface. This can cause the medicine to become contaminated. If you have multiple types of eye drop treatment, wait at least five minutes between uses. This will prevent one medicine from diluting and washing away another. Can I wear my contact lenses while using Brolene? Contact lenses can aggravate an eye condition, causing symptoms to worsen. Wait 24 hours after using Brolene before you use your lenses. How long should I use Brolene for? You should begin to notice improvements to your symptoms within two days of using Brolene. Consult your GP if your symptoms persist. Do not use this treatment for more than seven consecutive days unless specifically advised to do so by a doctor. Dispose of any bottle of Brolene which has been opened for more than four weeks. Brolene may cause slightly blurred vision. Avoid driving or operating machinery unless your vision is completely clear. Consult your GP if you notice any vision problems while using Brolene.